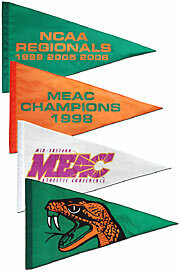 Our real championship banners are constructed using the applique process, our unique hand-crafted specialty. 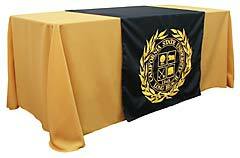 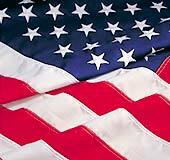 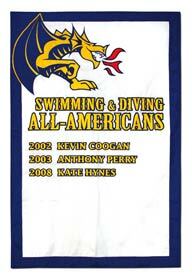 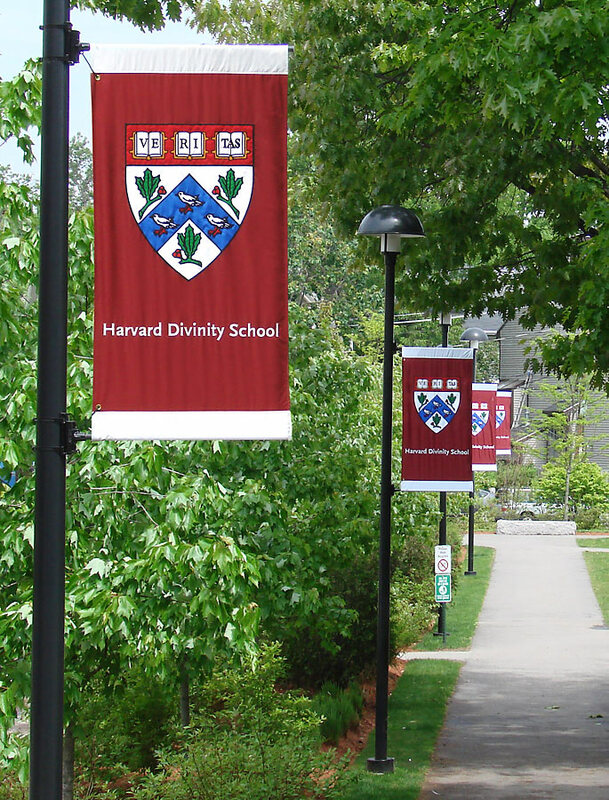 It's easily distinguished from flimsy screened or digitally printed flags and banners, and in turn distinguishes your program. 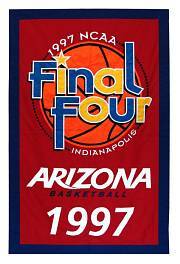 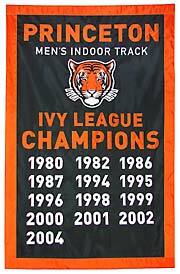 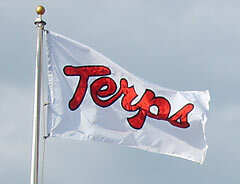 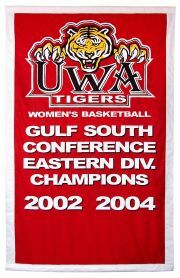 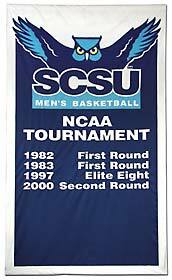 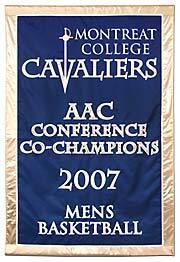 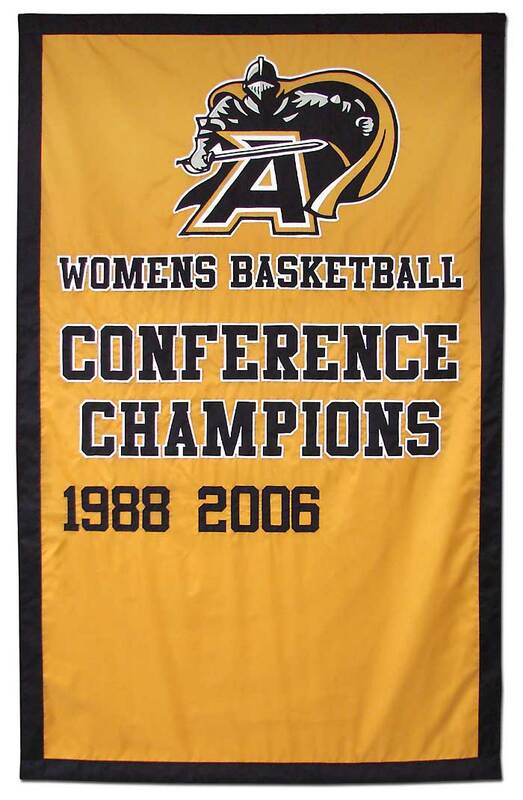 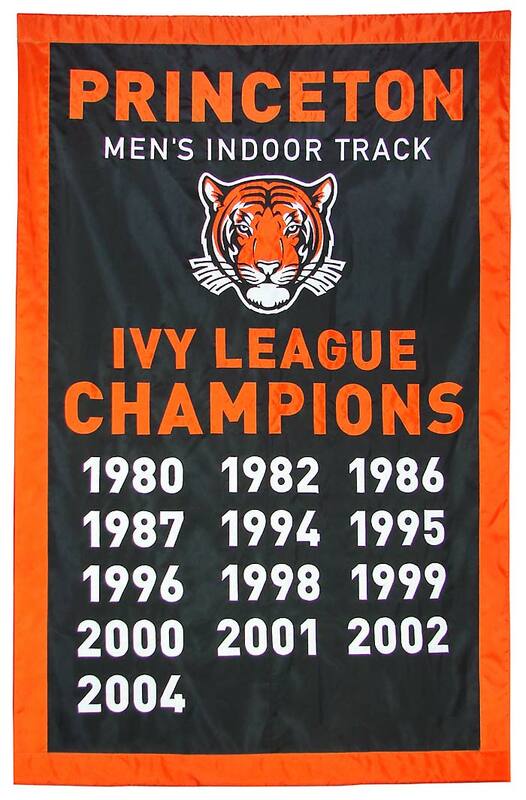 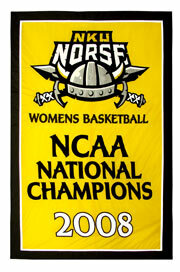 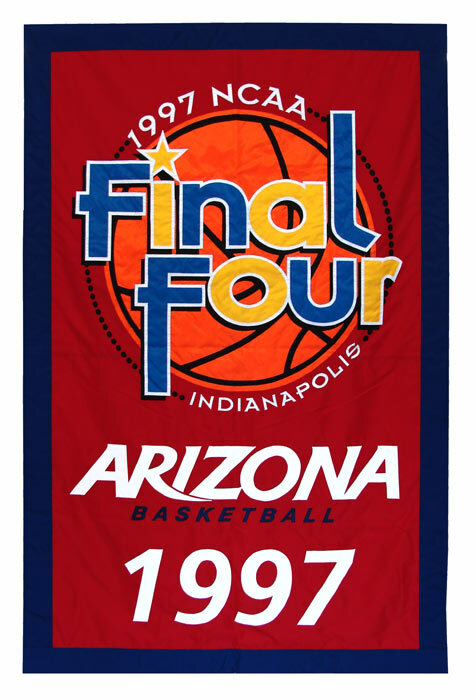 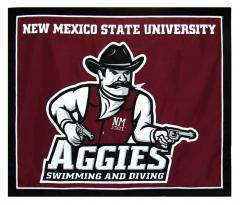 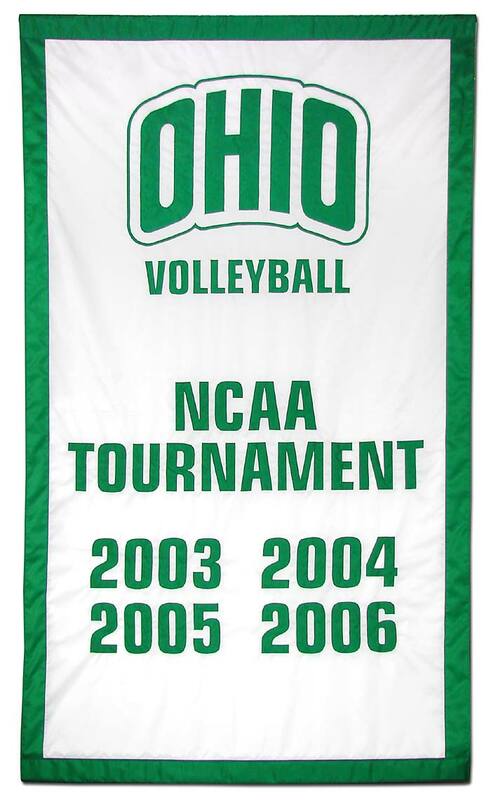 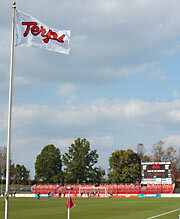 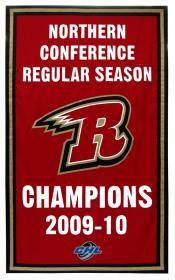 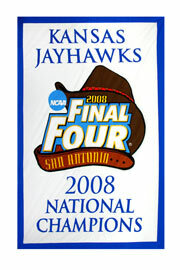 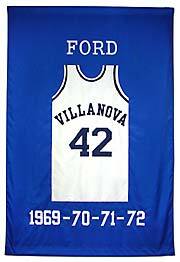 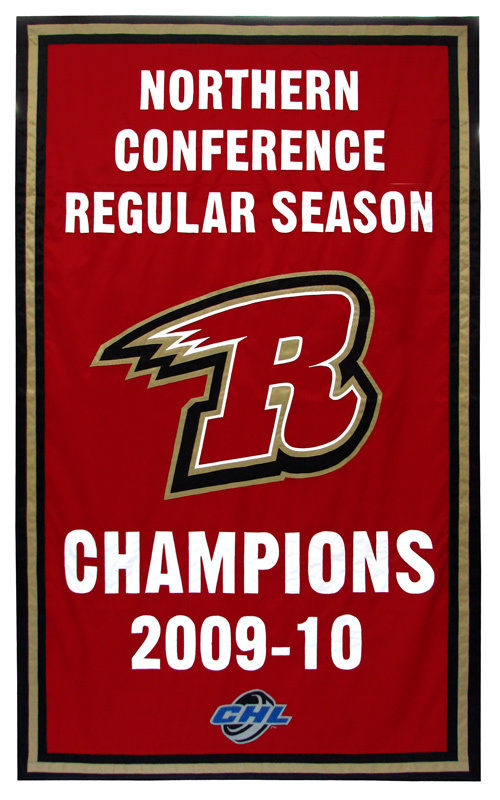 Championship banners are appropriate for sports that have a facility with space for hanging. 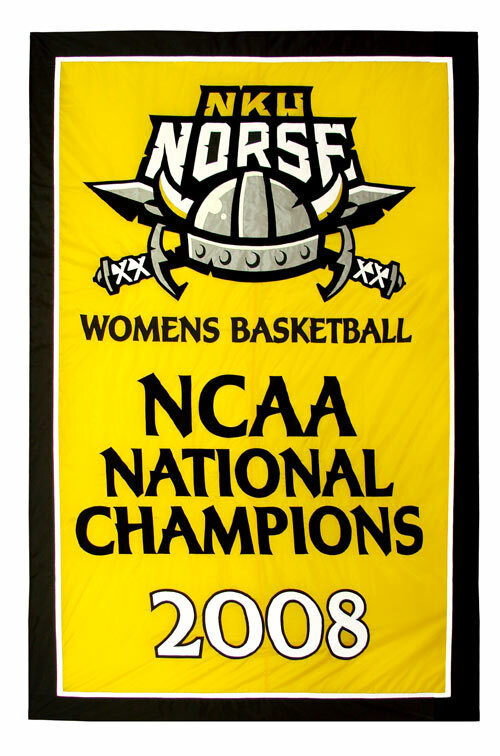 You'll see our banners hanging in gyms and arenas across the country, for sports like basketball, hockey, and indoor track. 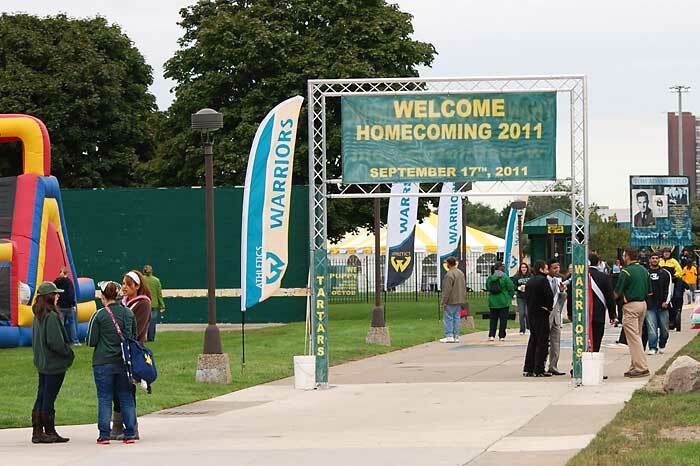 They even decorate a few outdoor facilities including tennis and field hockey. 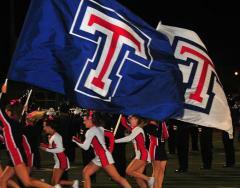 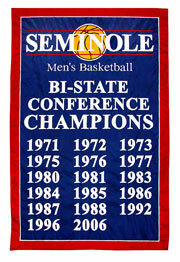 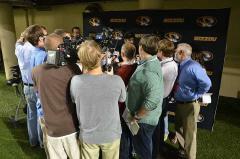 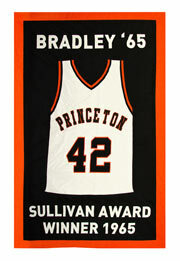 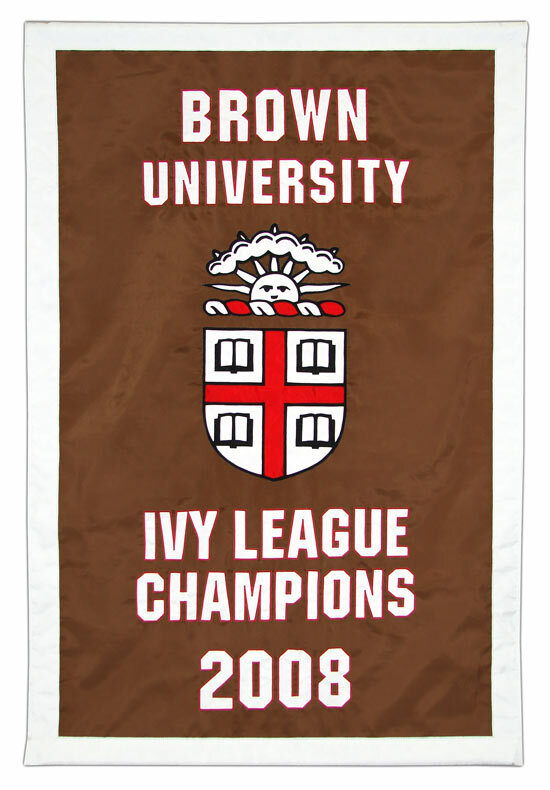 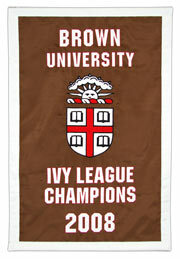 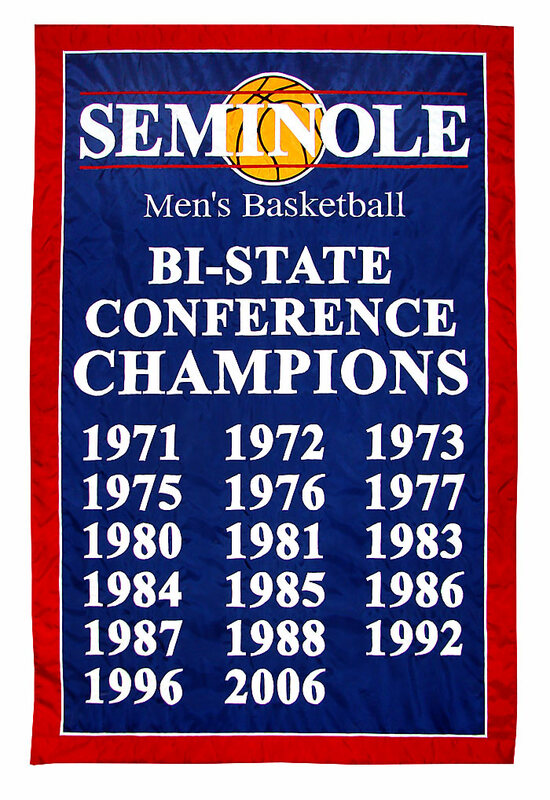 Sports championship banners generally fall into two categories: single year and add a year. 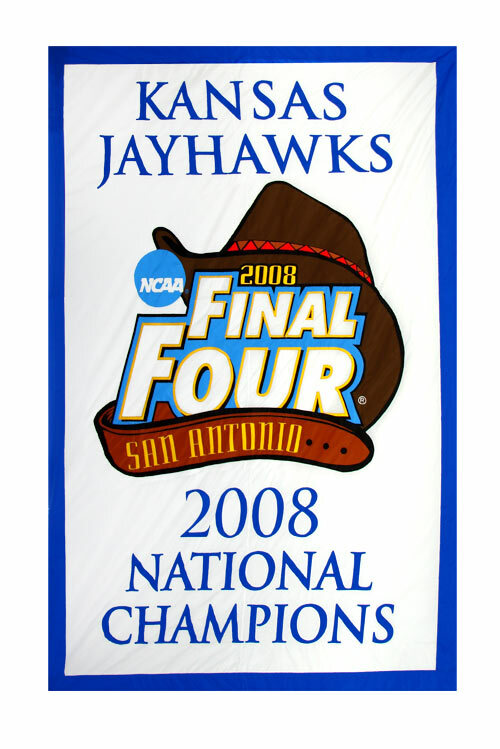 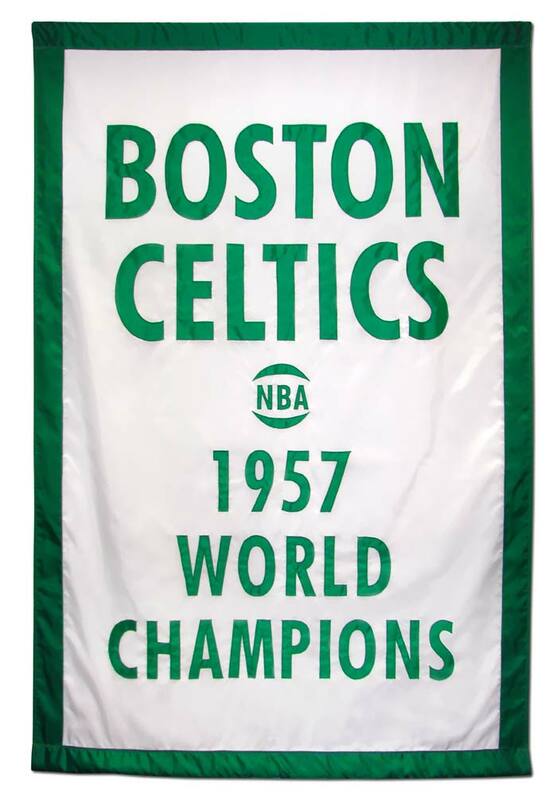 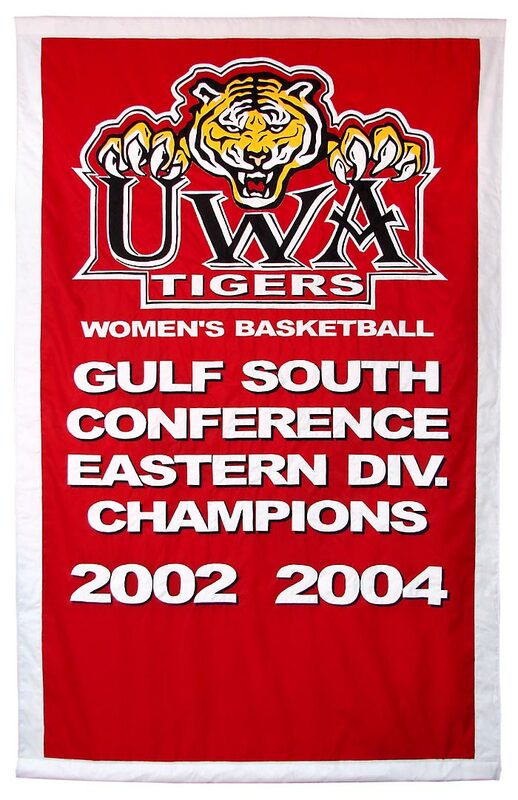 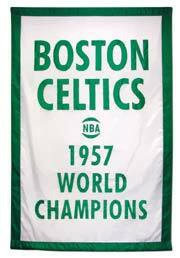 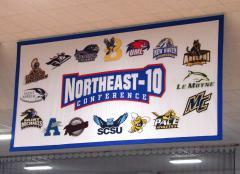 Click a thumbnail below to see the full size image, or click here to see our gallery of championship banners. 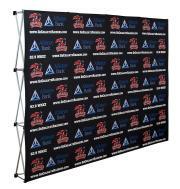 Our preferred finish is pole pockets top and bottom, with banner poles. 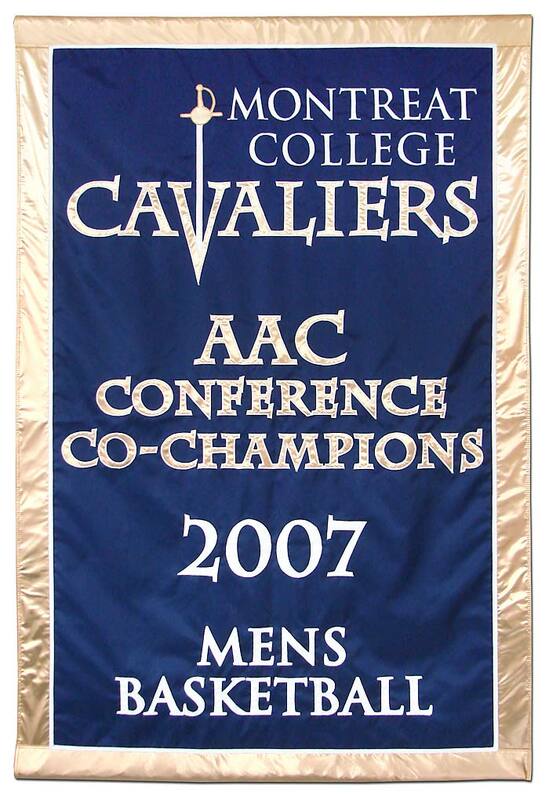 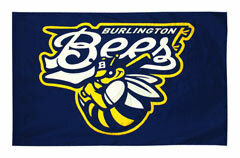 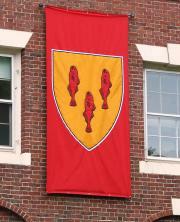 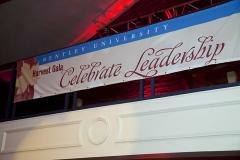 This creates a neat look and keeps the banner hanging straight. 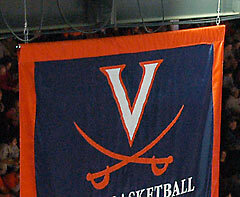 The other typical finish is grommets along the top and/or bottom. 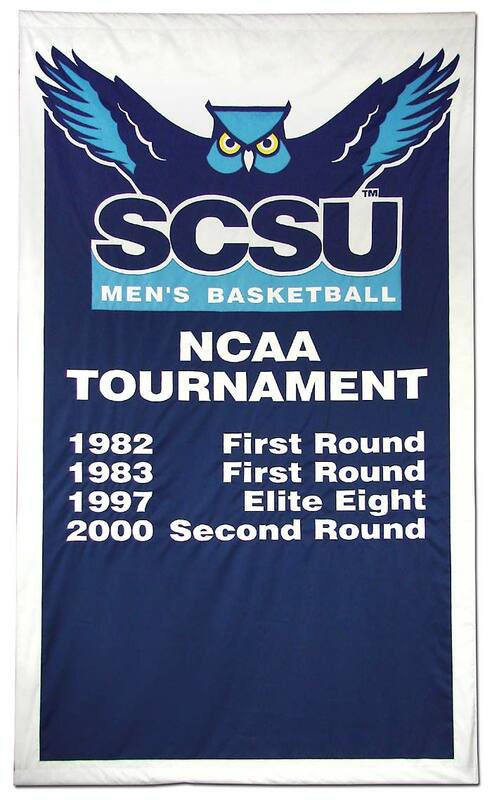 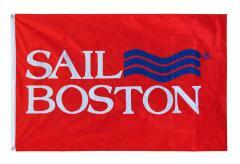 Pricing starts at $295 for a 3' x 5' banner with a simple graphic. 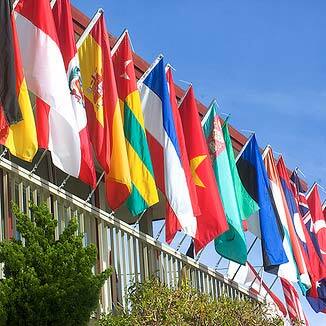 Please contact us to get pricing based on your logo or design.